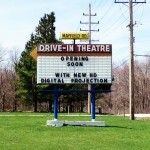 Please enjoy our list of drive-in movie theaters in Ohio. 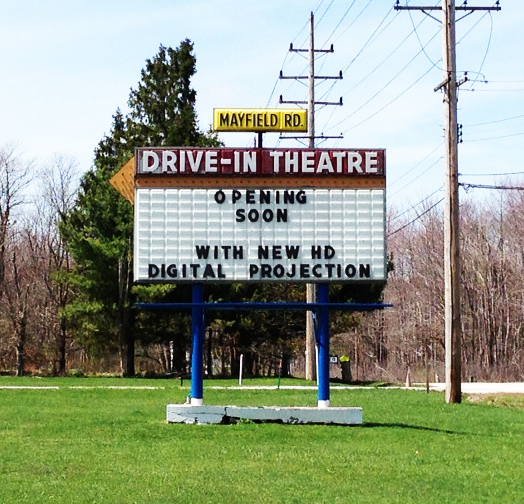 The Mayfield Road Drive-In Theatre shows a first-run double feature, seven days per week. As well as movies, the Mayfield Road Drive-In has a number of special events, including opening concerts (about an hour), before their main shows. 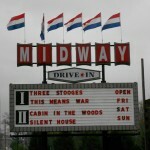 They are co-owned along with the Midway Twin Drive-In Theatre, which is listed below. They have a compromise policy on external food: guests can bring their own food, so long as they pay a $5 per car food license for the evening. 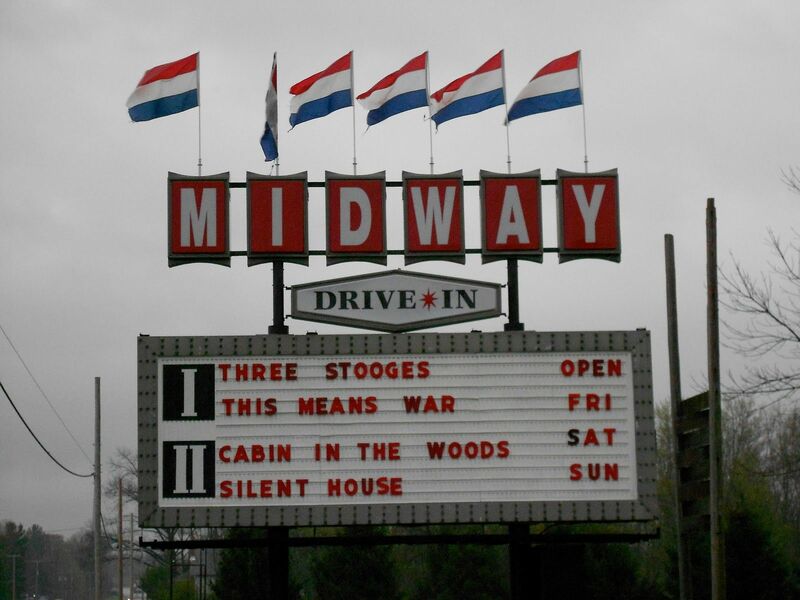 The Midway Twin Drive-In Theatre shows a first-run double feature, seven nights per week, on each of its two movie screens. They are co-owned along with the Mayfield Road Drive-In, listed above. They also have a number of special events, including an opening concert before their Saturday evening movies. The theatre is almost 70 years old, having opened in 1945. Like the Mayfield, they have a compromise policy on external food, allowing cars to purchase an external food licence for $5.